Welcome to the charming Lighthouse subdivision in sought-after South Nampa, ID. Here you'll discover a wonderful offering of new homes for sale from the low $200's. Conveniently located near the best the area has to offer, residents are minutes from neighborhood schools, multiple parks, Nampa Greenbelt walking trails, and convenient access to Lake Lowell. The Lighthouse subdivision's thoughtful design reminds you of an old town square where people love to get out to play, walk and ride their bikes. Start your home search by browsing the Nampa homes for sale below or learn more about Lighthouse real estate. Looking for new construction? 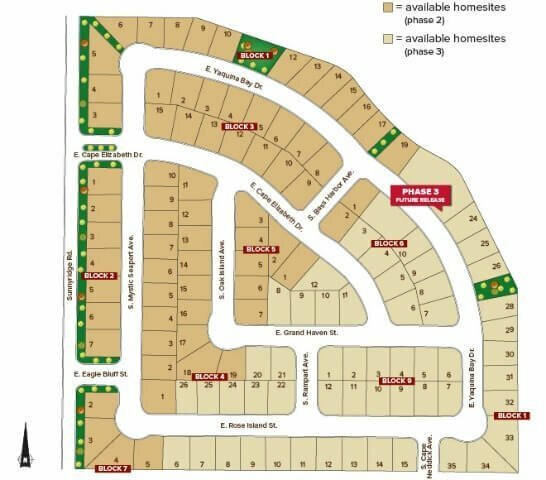 Browse our vast selection of new homes in Nampa or search new Nampa subdivisions. From Greenhurst Rd and Happy Valley Rd, head west on Greenhurst. Turn left (south) Sunny Ridge Rd, then left (east) on East Cape Elizabeth Dr - Nampa, ID 83686. To own your very own home in the Lighthouse subdivision, contact us online or call our Nampa new home specialists at (208) 391-4466 today!